We offer our pool services to customers in Mooresville, making it easier than ever to enjoy the benefits of a pool without having to manage a variety of tasks. 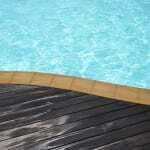 Pool Services in Mooresville – Having a pool is a great benefit, but it also comes with some necessary tasks. When the weather gets nicer during the late spring and early summer, you’ll need to open the pool for the season. Most pool owners use covers to keep leaves, pine needles, and other items from falling into the water during the winter, so part of opening the pool for the season involves removing and storing the cover. Other tasks include checking and starting up the pump and motor, testing the heater, and putting the ladder back in for easy entry and exit. When the summer draws to a close, the temperatures in Mooresville, North Carolina will start to drop, so you’ll need to close the pool. Covering it up, preparing the components so they don’t get damaged in the cold, and adding winterizing chemicals are just a few of the necessary tasks in closing your pool for the winter. During the swimming season, you’ll also need to keep up with adding appropriate chemicals, checking the pump and motor, and examining the pool for any signs of wear or damage.These tasks can create a long to-do list for any pool owner, which is why our team at S & H Pools can handle all of these pool services for you. We offer our pool services to customers in Mooresville, making it easier than ever to enjoy the benefits of a pool without having to manage a variety of tasks. Call us today to talk to one of our pool experts about the pool services we offer.